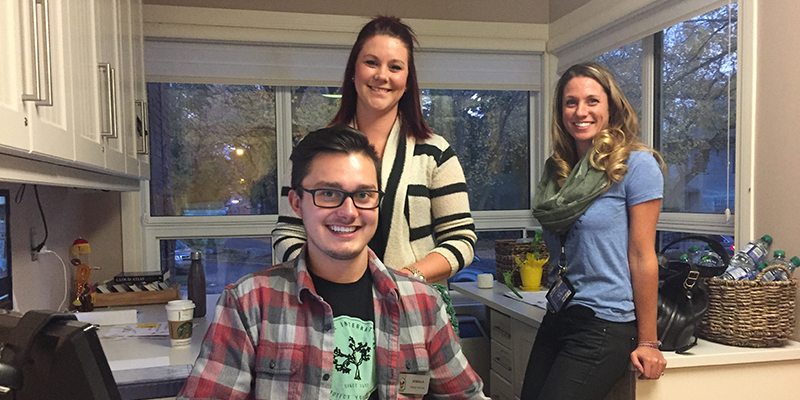 Ronald McDonald House Charities Saskatchewan simply could not operate without our amazing team of volunteers. And we say amazing because the Saskatchewan House has been in operation since 1985 and, believe it or not, we have dedicated and active volunteers who have been with the House since day one! If you stop and think about all the things you do to make your house a home – that’s what all the volunteers do to make Ronald McDonald House a home; every small part is very important in creating a welcoming home for families of sick children. Following is a brief description of the opportunities and benefits of volunteering. As a Ronald McDonald House Volunteer your time is greatly appreciated and valued by the staff as well as every family who walks through the door. We have volunteer opportunities that we are actively looking to fill. If you are interested in a heartfelt and meaningful volunteer experience – please contact Deanne Praski at dpraski@rmh.sk.ca or call 306.244.5700. ext 120. Thank you for visiting the Ronald McDonald House Saskatchewan website. Ronald McDonald House Saskatchewan has taken reasonable measures to ensure that the information and data presented on this website are accurate and current. However, we make no express or implied warranty regarding the accuracy of such information or data and hereby expressly disclaim all legal liability and responsibility to persons who or entities that use or access this site and its contents.